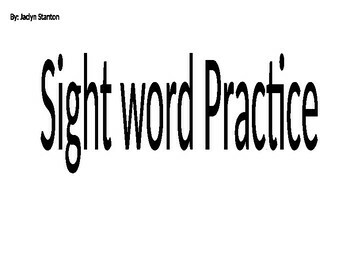 Practice reading sight words! By coloring in the Thanksgiving turkey with the color that matches the sight word that is on each feather and body of the turkey. 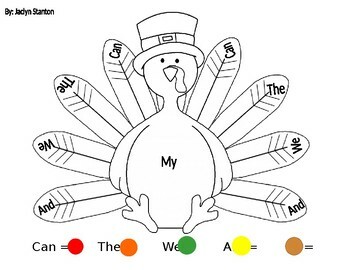 After they have matched the colors of each sight word the student will have created a colorful Thanksgiving turkey!